Mr. Scholz joined WEDGE in 2018 and is responsible for overall financial and strategic management, including the company’s financial reporting, long-range business planning, and program management. Additionally, he oversees Business Operations including Human Resources, Information Technology, Corporate Development, Strategy, Treasury, and other corporate functions and enterprise projects with the overall goal of accelerating profitability, innovation and driving market-based growth efforts across the company. Prior to joining WEDGE, Mr. Scholz served as the Chief Financial Officer at Boxer Properties where he managed ﬁnancial reporting, accounting, treasury management functions, property and casualty insurance, property tax renditions and protests, forecasting and budgeting, loan compliance, federal and state income tax planning and compliance, and bank relations. Previously, Mr. Scholz worked for International Oil & Gas Company as their North American Director of Finance. He also spent 14 years in the hospitality industry, working for both Intercontinental Hotel Group and Marriott International. 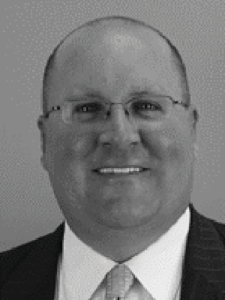 Additionally, he has several years of experience working with a multi-family REIT. Mr. Scholz currently sits on the Board of Directors for the National Association of Real Estate Finance Professionals (NAREC), a member of the Houston CFO Leadership Council, and Houston CFO Roundtable. Mr. Scholz holds a Finance and Economics BSBA from Old Dominion University in Norfolk, Virginia, and a MBA in Finance from Washington, D.C.’s Keller Graduate School of Management.